Over the past couple of months, I have received quite a few things from Mark. cosmetics' holiday collection. Mark. cosmetics, for those of you who aren't familiar with the brand, is the younger sister of Avon. I think the first time I really ventured into the brand was back in 2007. It was after Lauren Conrad was named brand Ambassador. More recently, Lucy Hale (the Pretty Little Liars star) embraced the role as she helped promote their 10th Anniversary. Anyway, Mark. has come out with a lot of new goodies just for the holidays and I thought I'd recap them quickly. I will be doing more in depth reviews with swatches shortly. How cute is this compact? 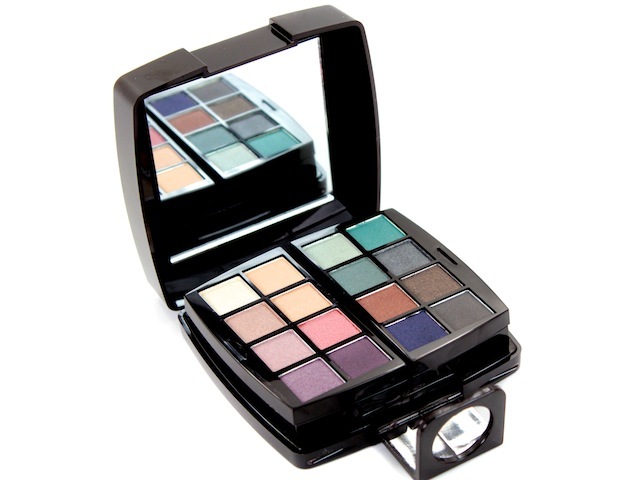 All closed up, it could easily fit in your purse or suitcase with no problems, but when you slide it open, it reveals 22 fun shades to play with. Inside there are 16 eye shadows, four lip glosses, and two blushes. Along with a large built-in mirror and three applicators for on-the-go application. I love mini bottles of polish, they're so handy and they're pretty cute. Two sets of the Trend Mini Nail Lacquers are available for the holiday: Snowberry & Tinseltown (a shimmery red and a metallic silver) and Tuxedo & Gleam Scene (a creamy black and a liquid gold). Each mini bottle is good for at least 10 manicures. 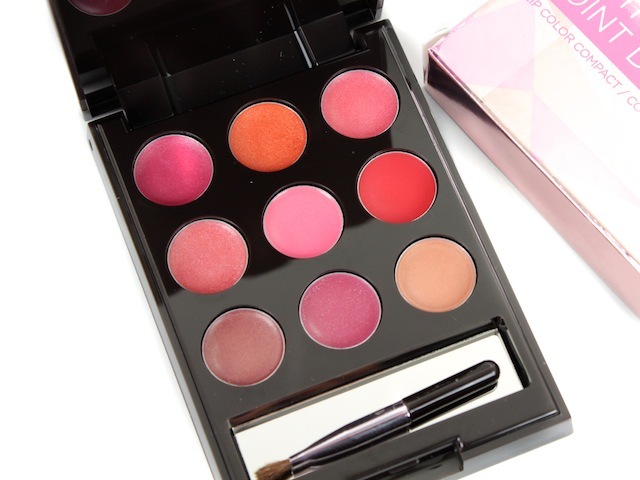 This lightweight compact comes with nine sheer and creamy glosses, from neutrals to pinks to reds. It also comes with a mini lip brush (which works, but does leave something to be desired) and a small mirror. 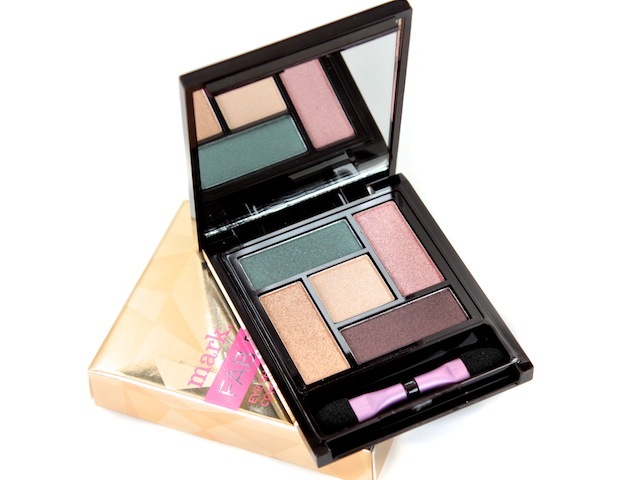 This compact contains five gorgeous earthy shadows. It's a neutral palette that will compliment any eye colour and any outfit. It also comes with a double-ended sponge tip applicator for quick & easy application. A purse-friendly mini brush kit, which contains five brushes to complete any look. 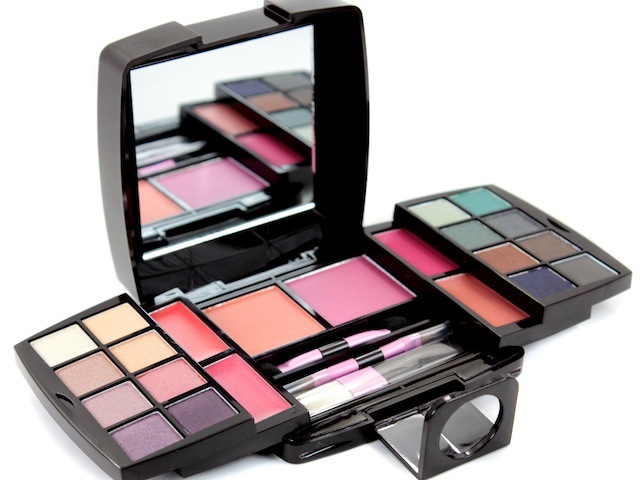 The set includes an eyeshadow brush, an eyeliner brush, a concealer brush, a lip brush, and a powder brush. It comes in a beautiful metallic faux leather case that will fit comfortably in any makeup bag. the eyeshadows look pretty. The palette layout reminds a bit of ysl. The super color box looks so cute! I love the range of colours in such a little palette!